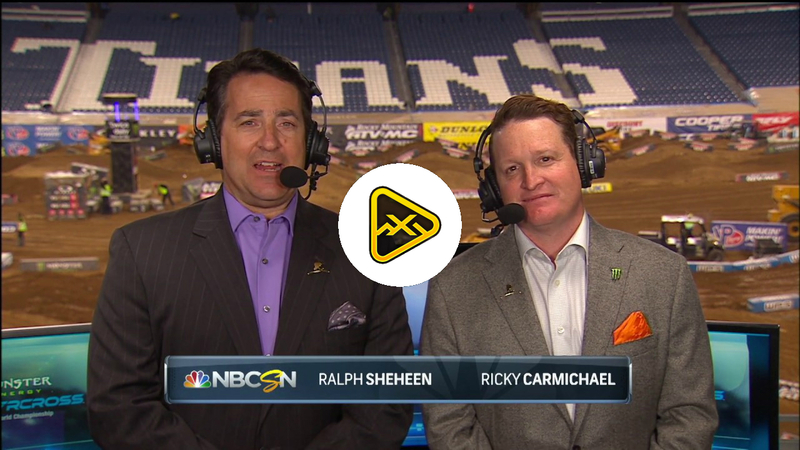 Foothill Ranch, Calif. (March 24, 2019) – Round 12 of Monster Energy® AMA Supercross, an FIM World Championship featured a slick race track and clear skies over CenturyLink Field as Kawasaki landed on the podium in both classes with Eli Tomac capturing third in the 450SX class, while Adam Cianciarulo grabbed second in the 250SX class. 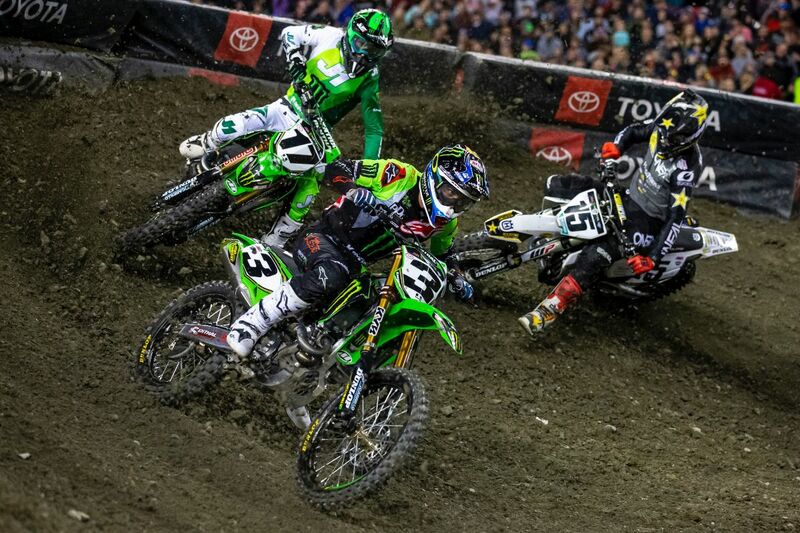 As the gate dropped on the 450SX Heat 2 race, Tomac battled for the lead from start to finish as he got off to a great start and challenged the leader for the entirety of the race. As the checkers flew, Tomac secured the second position, while teammate Joey Savatgy had his own battle going on to finish in fourth. 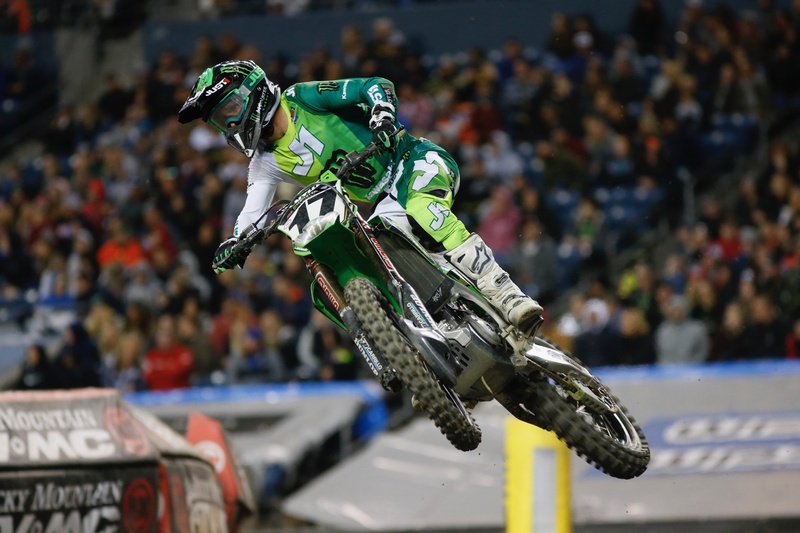 The 450SX Main Event saw both Monster Energy Kawasaki KX™450 motorcycles running up front, quickly maneuvering around their competitors into fourth and fifth with Tomac just ahead of Savatgy. 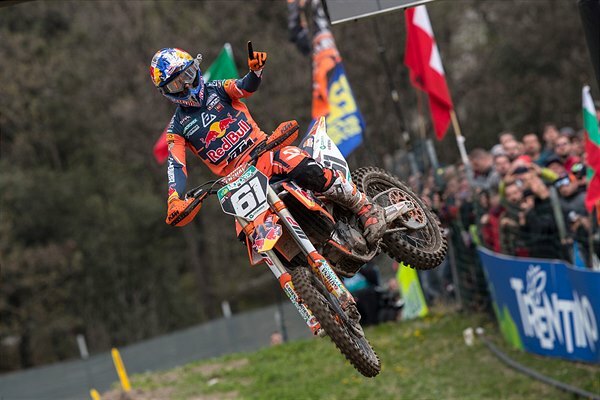 Halfway into the race, Savatgy made a minor error causing him to have a small tip over but quickly recovered to power back and finish fifth. 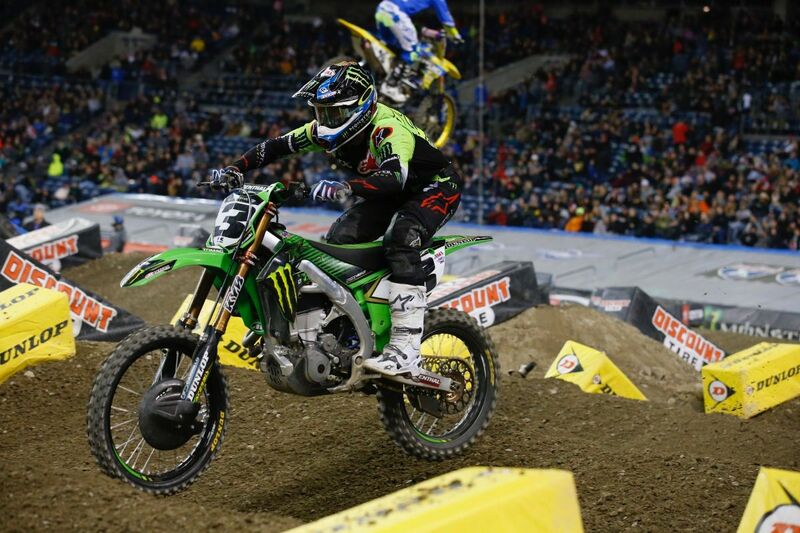 Tomac pushed forward, eventually making a pass to put him on the podium in third place. Following a penalty to the race winner, Tomac was able to make up ground on both of the competitors he trails in the points standings. 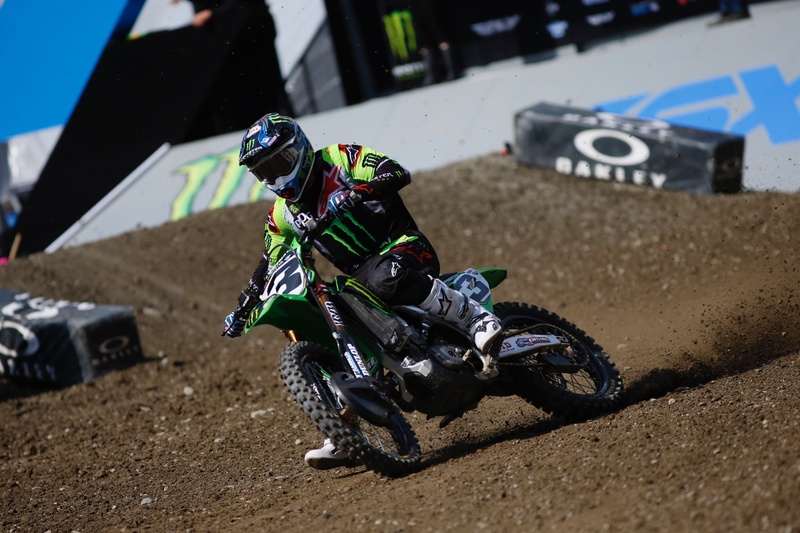 Tomac sits in third, five points out of second and 19 points down to the leader. After another impressive top-5 finish from the 450SX class rookie, Savatgy moves up to seventh in the 450SX Points Standings. 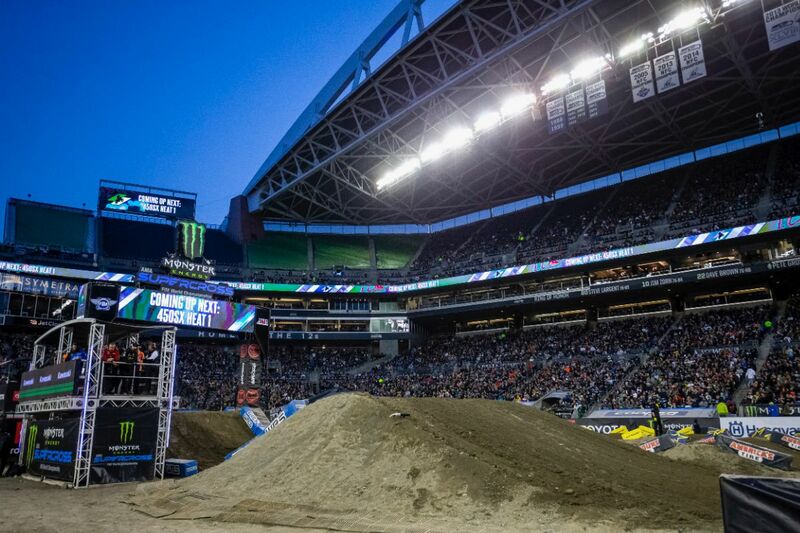 While springtime in Seattle usually means a lot of rain and a race that is sure to be a “mudder”, this year’s Seattle supercross brought warm weather and a stadium filled with roaring fans.